October 31, 1902 – Harlow N. Higinbotham, the president of the board of trustees of the Field Columbian museum, holds forth about the museum’s future, saying, “All that stands in the way of a magnificent $10,000,000 building for the Field museum is a site downtown just across the Illinois Central tracks at Congress street, and that site the city of Chicago ought to provide. The people of Chicago should have easy access to the museum. 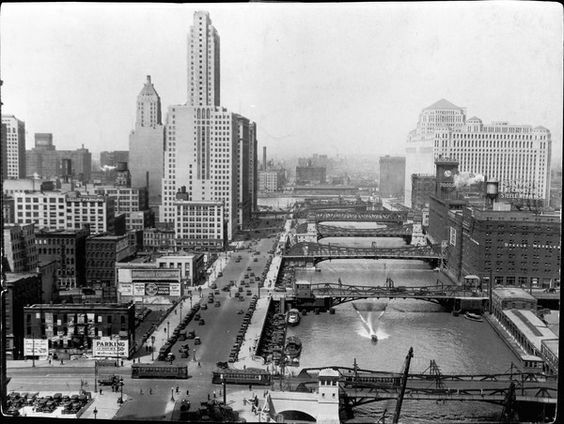 At present persons visiting the city who have only limited time at their disposal cannot visit it.” [Chicago Daily Tribune, November 1, 1902] Higinbotham’s comments come as he hosts 30 of the “highest authorities in the world on American anthropology … men from Germany, England, Sweden, Holland, France, Mexico and the South American countries.” The scientists tour the home of the Field Columbian Exposition in Jackson Park, the building that served as the Palace of Fine Arts during the 1893 World’s Columbian Exposition, a museum that “even in its present quarters … the visitors thought … compared favorably with the museums of Europe and with those in the eastern states.” The visitors spend the morning at the museum, take lunch at the Del Prado, then go for a drive through the parks and boulevards of the south side before spending the evening as guests of University of Chicago President William Rainey Harper at his residence. 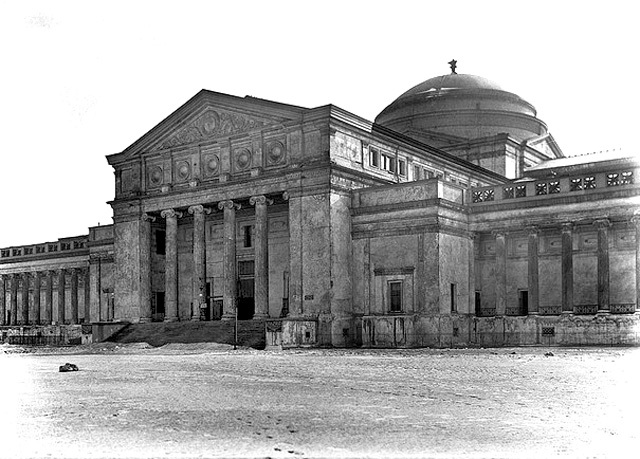 The above photo shows the Field Columbian Museum, the former Palace of Fine Arts at the 1893 World's Columbian Exposition -- and today's Museum of Science and Industry -- as it appeared at the time of Higinbotham's plea.